Gear oil is a special type of highly viscous lubricant that is well adapted for use in differentials and transmissions, including final drives. 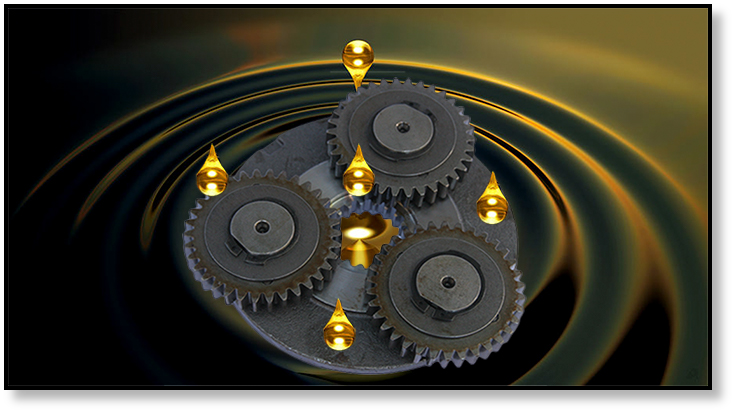 Gear oil, also referred to as gear lube, is the lubricant for the planetary side of a final drive. In this Shop Talk blog post we are going to discuss three things you should know about final drive gear oil. 1. What Does Viscosity Mean? As you probably already know, viscosity is the most important property of a lubricant because it serves as a measure of the thickness of the fluid (for lack of a better term). The relatively high level of viscosity is required, in part, to make sure that the gear oil travels in the absence of an oil pump to the metal surfaces where it is needed. However, when we say “high viscosity” we are comparing gear oil to other types of lubricants. But what is viscosity, really? If you look up the viscosity of a fluid, you will usually see it measured in centistokes. Let’s give some context to centistokes. The viscosity of distilled water is about 1 centistoke. 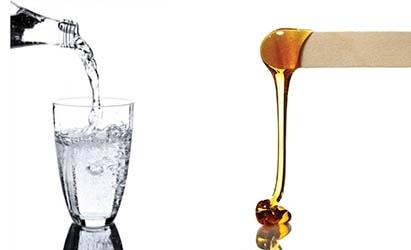 Honey, which is much thicker than water, has a viscosity of about 10,000 centistokes. Gear oil for a typical final drive would be 80/90W with a viscosity around 120 centistokes at an operating temperature of 100°F (38°C). That means you can expect the thickness of gear oil to be more on the order of distilled water as opposed to honey or syrup. 2. Why Does Final Drive Gear Oil Smell Sulfurous? Most gear oils contain EP (extreme-pressure) lubricants, also known as anti-scuff lubricants. They enhance the load carrying ability of the oil and can significantly increase the film strength of the lubricant. One of the key ingredients of many EP lubricants is sulfur phosphorous, hence the unusual smell that many gear oils have. Note that the benefits of the sulfur phosphorous additives will not become active until higher surface temperatures are reached and these additives can be corrosive to phosphor bronze. 3. How Often Should Gear Oil be Changed? Most experts recommend that the gear oil be changed out at least once a year. In addition, gear oil levels should be checked after every 100 working hours. If you keep topping off the gear oil, you should check the final drive for potential leaks. If a leak is present, it is imperative that the seals involved be replaced as soon as possible to prevent catastrophic damage to the final drive. 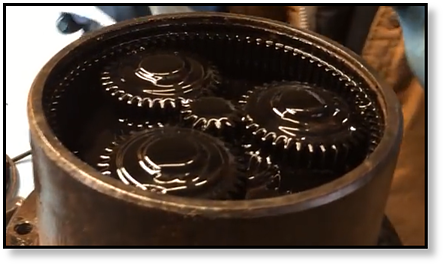 It is very important to health and productivity of your final drive to be careful about what type of gear oil you use, following manufacturer's recommendations whenever possible, check it on a regular basis, and change it as needed. This is an aspect of final drive maintenance that you definitely don't want to overlook. Want know the 6 Fascinating Facts About Gear Oil, get your free infographic from Texas Final Drive today!